"He’s not respected by most of the people in the league, it’s not just me – that’s just a fact." LA Kings defenseman Drew Doughty didn’t hold back when speaking about Calgary Flames forward Matthew Tkachuk. Prior to their matchup on Monday night, Doughty unloaded on the 21-year-old Tkachuk. Summarized: Doughty has no respect for Tkachuk, won’t speak to him off the ice and doesn’t think any player in hockey respects him. Those are some harsh words. You’d expect some animosity between division rivals, but Doughty’s comments crossed into more personal territory. They likely stem from an incident a couple years ago when Tkachuk elbowed Doughty in the face, causing Doughty to lose some teeth. Tkachuk has certainly made a name for himself in his first three NHL seasons. He has proven to be an outstanding offensive weapon that keeps improving (his 34 goals in 75 games this year are a career best), but his behavior on the ice has been rocky. 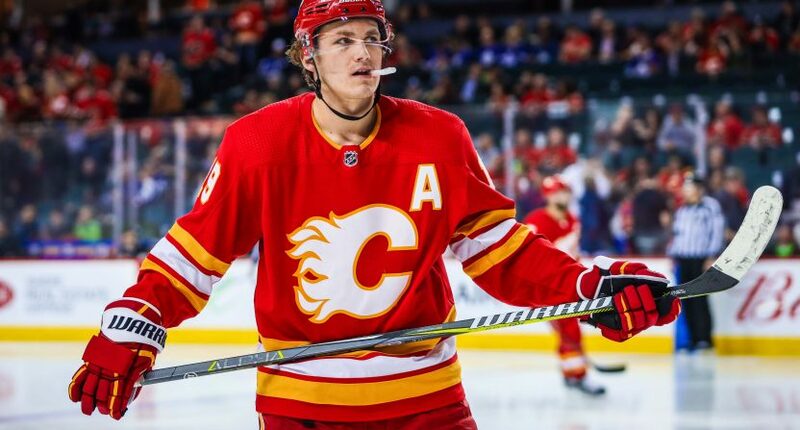 There’s no question that Tkachuk regularly straddles the line between playing physical and playing dirty. His elbow to Doughty earned him his first suspension, but other incidents have followed. Tkachuk wasn’t the only player Doughty ripped on. The Kings’ defenseman weighed in on the Norris Trophy conversation and used the moment to bash San Jose Sharks defenseman Brent Burns. Doughty endorses Giordano as Norris frontrunner and takes swipe at Brent Burns: "Giordano has (72 points) and he plays good defence…Burns get beat three times a game, literally, and everybody has him up for the Norris. I just don’t get it." Maybe Doughty just woke up on the wrong side of the bed?